Home / Great Deals / World Cup Fever – Take An Extra 20% Off Footwear! World Cup Fever – Take An Extra 20% Off Footwear! 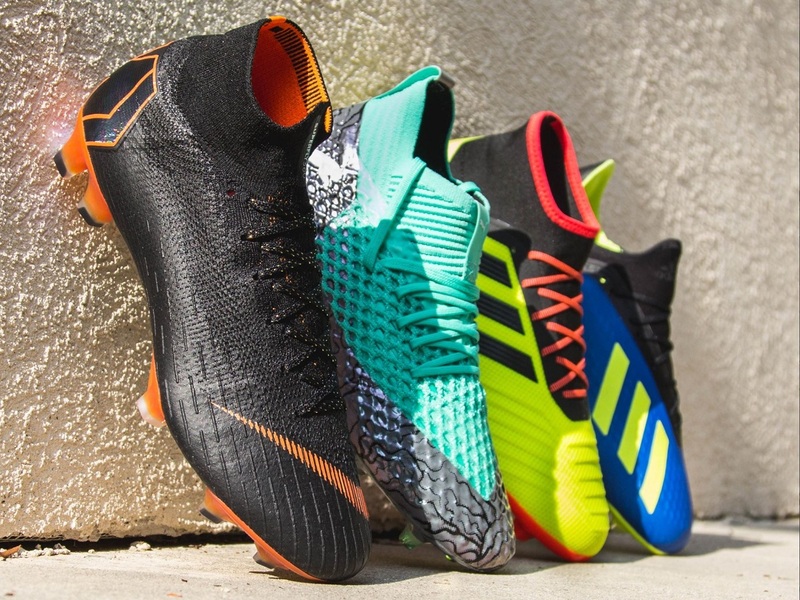 If you were looking to pick up some new boots this week, this offer could not land with better timing! On offer for a LIMITED TIME, take an additional 20% off your footwear purchase. This is a deal that doesn’t come around very often, so taking advantage can produce some big time savings. There are a lot of boots to choose from right now, so here are a few lists including some of our favorites from new releases to boots already on sale. Each is listed with the original retail price and what the final Goal Club price is. Code PLUS20 for 20% off your purchase. Code SHIPFW for free shipping. Goal Club for the lowest price (details below). Are you a Goal Club Member? Because if you are not, you are missing out on an additional 10% savings plus other special deals. Right now, you can sign up to be a member for only $10. This is a one time fee that entitles you to lifetime savings on every soccer.com purchase going forward. Nike Mercurial Vapor 12 Elite FG from the “Just Do It” Pack. Nike Tiempo Legend 7 Elite FG from the “Just Do It” Pack. NIKE Magista Obra 2 Elite DF FG from the “Just Do It” Pack. adidas X 18+ FG from the “Energy Mode” Pack. adidas X 18+ FG JNR from the “Energy Mode” Pack. Also, cannot be combined with other discount offers. Online orders only. Discount off of the subtotal of footwear only. Not valid on online team store orders or orders over $1,000. Expires 6/22/18 at 11:59 PM ET.